Food at The Mesmerist is always prepared in-house and from scratch, using fresh, locally-sourced ingredients. The menu is updated regularly to ensure the best seasonal produce and features an eclectic range of ingredients that deliver incredible favours and is a cut above your standard pub classics. Dishes range in size so you’ll find something to satisfy the smallest of cravings or the mightiest of hungers. Either way, if you choose from our small plates and starters, or a substantial main course, there are always plenty of options that are suitable for special diets including vegetarian, vegan, gluten and dairy free. As well as creating food in The Mesmerist, our talented team of chefs can also provide offsite catering at a venue of your choice. If you have an event coming up that requires a quality food offering, please have a look at the SPACE + THYME website, or send an enquiry to info@spaceandthyme.co.uk. Kitchen opening times: Monday - Thursday 12pm - 9pm. Friday - Sunday 12pm - 8pm. We don’t just serve up amazing cocktails, we can teach you how to do it, too. 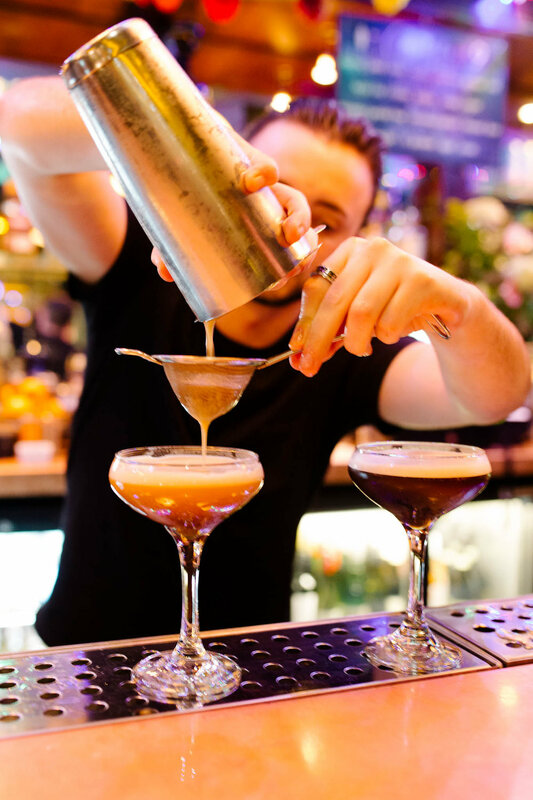 Spend some time with our expert mixologists and learn how to mix and shake the classics. Ideal for parties - give us a call and we’ll talk you through it.